With many Italian restaurants and places to eat in Clermont, FL, you’ll find it easy to locate pizza. If you’re looking for Clermont pizza or Italian restaurants, check out these best restaurants in Clermont to find exactly the slice and topping your looking for. After spending a day near Citrus Tower near Winter Garden, head to Pizzano’s Pizza. This fan favorite is known for their tasty pizza as well as their grinders. Plus, you can order pizza online and enjoy pizza delivery in Clermont so you don’t have to leave the comfort of your own home. They’re our go-to pizza restaurant in Clermont that provides quick food at a reasonable price. Be sure to check out Pizzano’s when you’re in town. Another favorite near Windermere is Flippers Pizzeria. With thick crusts and plenty of stacked on ingredients, you’ll certainly love the flavor that comes from these pies. Choose from 30 different topping options or try one of their signature pizzas. Plus, you can dine in, carry out, or get it delivered to make it convenient for you. There’s always been a debate about which pizza is better, so if you’re looking for true New York style pizza, then you must head to G’s NY Pizza. The hand-tossed NY style pizza will fulfill your taste buds, and you can also take advantage of their subs, chicken parmigiana, lasagna, and other Italian dishes while here too. If you want to know about a Clermont secret, head to Corelli’s Restaurant. Located inside a strip mall, this restaurant has plenty of delicious Italian dishes and pizzas that will make you come back often. In addition to pizza, pasta, and subs, you can enjoy comfortable seating that’s perfect for a family night out near Leesburg. If you’re looking for pizza in Clermont that is different than the Pizza Hut in Clermont, FL, take advantage of these many dining locations. 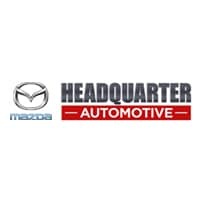 Headquarter Mazda has been providing residents with things to do for years, and we enjoy our community involvement. Whether you want a fun dining experience or you need a new vehicle to help you get around all the pizza places, let Headquarter Mazda help with expert tips like how to open your Mazda key fob. Contact our Clermont car dealership team today to learn more.